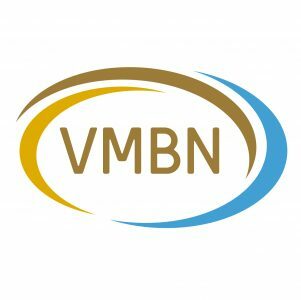 Vooral in de VS is veel wetenschappelijk onderzoek gedaan naar de effecten van aandachttraining / Mindfulness Based Stress Reduction bij mensen met pijn, angst, fybromyalgie, psoriasis, depressie en kanker. 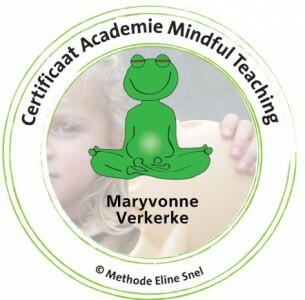 Onderzoek is gedaan zowel in het Center for Mindfulness als ook in andere ziekenhuizen en instituten in de VS. Onderzoek is belangrijk om mindfulness of de kwaliteit van aandacht en haar effecten op lichaam en geest en gezondheid en welbevinden beter te begrijpen. Sinds enkele jaren wordt ook in Engeland aan de universiteiten van Cambridge, Oxford en Wales onderzoek gedaan naar de effecten van Mindfulness Based Cognitive Therapy bij mensen met depressie. Davidson, R. J., Kabat-Zinn, J., et al. Alterations in brain and immune function produced by mindfulness meditation. Psychosomatic Medicine, (2003) 65, 564-570. Saxe, G., Hebert, J., Carmody, J., Kabat-Zinn, J., Rosenzweig, P., Jarzobski, D., Reed, G., and Blute, R. Can Diet, in conjunction with Stress Reduction, Affect the Rate of Increase in Prostate-specific Antigen After Biochemical Recurrence of Prostate Cancer? J. of Urology, 2001. Shapiro, SL and Schwartz, GE. Mindfulness in medical education: Fostering the health of physicians and medical practice. Integrative Med (1998) 1:93-94. Shapiro, SL, Schwartz, GE, and Bonner, G. Effects of mindfulness-based stress reduction on medical and premedical students. J Behav Med (1998) 21:581-599. Kabat-Zinn, J., Wheeler, E., Light, T., Skillings, A., Scharf, M., Cropley, T.G., Hosmer, D., and Bernhard, J. Influence of a mindfulness-based stress reduction intervention on rates of skin clearing in patients with moderate to severe psoriasis undergoing phototherapy (UVB) and photochemotherapy (PUVA). Psychosom Med (1998) 60:625-632. Massion, A.O., Teas, J., Hebert, J.R., Wertheimer, M.D., and Kabat-Zinn, J. Meditation, melatonin, and breast/prostate cancer: Hypothesis and preliminary data. Goldenberg, DL, Kaplin, KH, Nadeau, MG, et al. A controlled study of a stress reduction, cognitive-behavioral treatment program in fibromyalgia. Musculoskeletal Pain (1994) 2:53-66. Kaplin, KH, Goldenberg, DL, and Galvin-Nadeau, M. The impact of a meditation-based stress reduction program on fibromyalgia. Gen. Hosp Psychiatry (1993) 15:284-289. Santorelli, S.F. A qualitative case analysis of mindfulness meditation training in an outpatient Stress Reduction Program, and its implications for self-knowledge. Doctoral Dissertation, University of Massachusetts School of Education. University Microfilms International, Kalamazoo, MI (1992). Bernhard, J., Kristeller, J. and Kabat-Zinn, J. Effectiveness of relaxation and visualization techniques as an adjunct to phototherapy and photochemotherapy of psoriasis. J. Am. Acad. Dermatol. (1988) 19:572-573. Teasdale, JD, Segal, ZV, and Williams, JMC. How does cognitive therapy prevent depressive relapse and why should attentional control (mindfulness) help? Behav Res Ther (1995) 33:25-39. Williams JMG, Teasdale JD, Segal ZV, and Soulsby J. Mindfulness-Based Cognitive Therapy reduces overgeneral autobiographical memory in formerly depressed patients. J Abnorm Psychol.